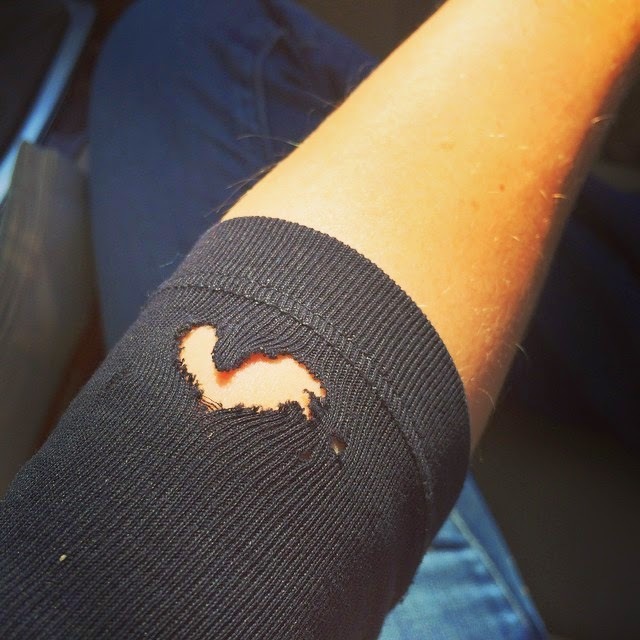 • The Link: "A heart-shaped hole ripped on my sleeve today. And made me smile. Thinking of you @jmassdini."